"It's a game of precision and accuracy," says Rachel Miller of Smile Through Sport. "It's definitely harder than it looks!" Developed for people with more severe physical disabilities, boccia is played with balls of different weights and designs. We asked Rachel to talk us through what makes this Paralympic sport unique. 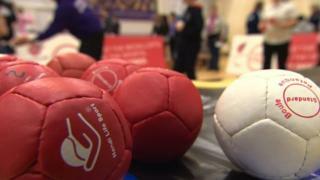 To find out how to get into Boccia, wherever you are in the UK, take a look at our handy guide.